What is the Society of Saint Joseph? The Society of Saint Joseph is managed by the Catholic Community Foundation of Santa Clara County and provides a way for our Church to celebrate and recognize these extraordinary acts of stewardship. Step 1: Arrange for a planned or deferred gift to a local parish, a Catholic elementary school, the Diocese of San Jose, or any ministry of the Diocese (endowed or non-endowed). Step 2: Let us know of your plans by submitting the Confidential Legacy Intention Form. 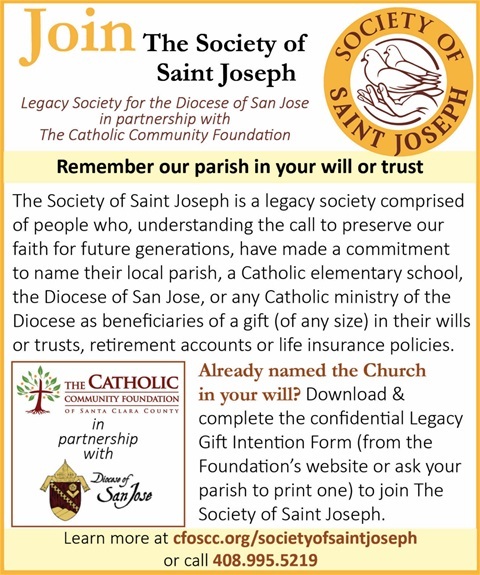 Download the form from the Foundation’s website (cfoscc.org/societyofsaintjoseph) or ask your parish to print one. What types of gifts qualify? Legacy gifts take many forms. Below are some of the most common gifts that people choose. Please give us a call to discuss other types of gifts that might interest you. Can I direct my legacy gift to a specific fund? As a donor, you can choose how you would like the beneficiary to receive your legacy gift by designating it either as endowed or nonendowed. NON-ENDOWED GIFT - You may choose to allow those who will lead our Church in future years to decide how best to use your gift taking in consideration the needs in their time. After your lifetime, one hundred percent of your gift will be transferred directly to the beneficiary. ENDOWED GIFT - You may choose to direct your gift to an endowment fund which permanently supports the parish, Catholic organization or area of ministry that is important to you. After your lifetime, one hundred percent of your gift will be transferred to The Catholic Community Foundation of Santa Clara County who will prudently invest the principal of the fund and distribute between 3-5% of earnings annually to the beneficiary that you selected, in perpetuity. Whether you choose to make a non-endowed gift, an endowed gift or a combination of both, we can provide you with easy bequest language that your advisor can use when drafting your will or trust. Most Reverend Oscar Cantú, S.T.D was born December 5, 1966, in Houston, TX, the son of Ramiro and Maria de Jesus Cantú, natives of small towns near Monterrey in Mexico. He is the fifth of eight children, five boys, and three girls. Bishop Cantú attended Holy Name Catholic School and St. Thomas High School in Houston, and he earned his Bachelor of Arts degree from the University of Dallas, TX. 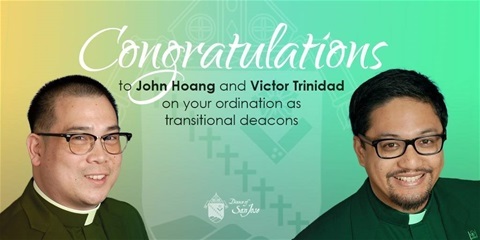 He received his Masters in Divinity and Masters in Theological Studies from the University of St. Thomas also in Houston. He attended the Pontifical Gregorian University in Rome Italy where he earned his S.T.L. Licentiate in Sacred Theology, as well as his S.T.D., Doctorate in Sacred Theology in Dogmatic Theology. Bishop Cantú was ordained a priest of the Diocese of Houston in 1994. He spent his priestly career working in parishes throughout the Houston metropolitan area. His first assignment was as parochial vicar at St. Christopher Parish. He also taught at the University of St. Thomas and at St. Mary’s Seminary. He also served as pastor at Holy Name Parish. Bishop Cantú also participated in number of ministries and movements in Houston. He was involved in the Christian Family movement; conducted retreats with the youth of the CFM movement in the Galveston-Houston Archdiocese; and worked with the Engaged Encounter ministry. Bishop Cantú was also involved in The Metropolitan Organization (TMO) that addresses social issues in the community. Bishop Cantú was ordained a bishop in 2008 and was appointed Titular Bishop of Dardano and Auxiliary Bishop of San Antonio. In 2013, Bishop Cantú was appointed as second bishop of the Diocese of Las Cruces, NM. He was installed as bishop on February 28, 2013, by Metropolitan Archbishop, Most Reverend Michael J. Sheehan, Archbishop of Santa Fe. 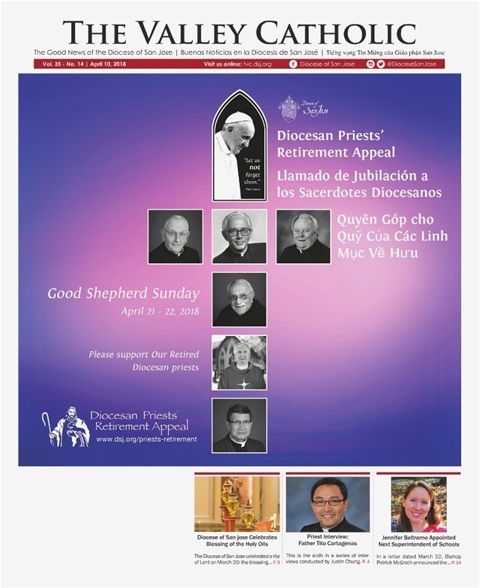 On July 11, 2018, it was announced by Most Reverend Christophe Pierre, Apostolic Nuncio, that Pope Francis had appointed Bishop Cantú as the Coadjutor Bishop of San Jose. He will become the third Bishop of San Jose upon the retirement of Bishop Patrick J. McGrath. 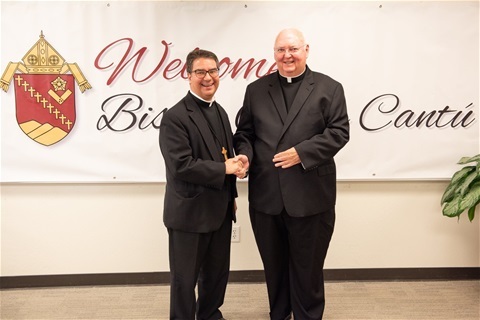 We warmly welcome Bishop Cantú and we look forward to working with him to build up the coming Kingdom of God in this small portion of the vineyard of the Lord. A Mass of Welcome to the Diocese of San Jose will be celebrated at the Cathedral Basilica of Saint Joseph on September 28, 2018. Saint Joseph on September 28, 2018.